This spring/summer, give your fingernails a sassy beachy-look with our recommended nail art designs! Summer days are here again – and its time to head to the beach. 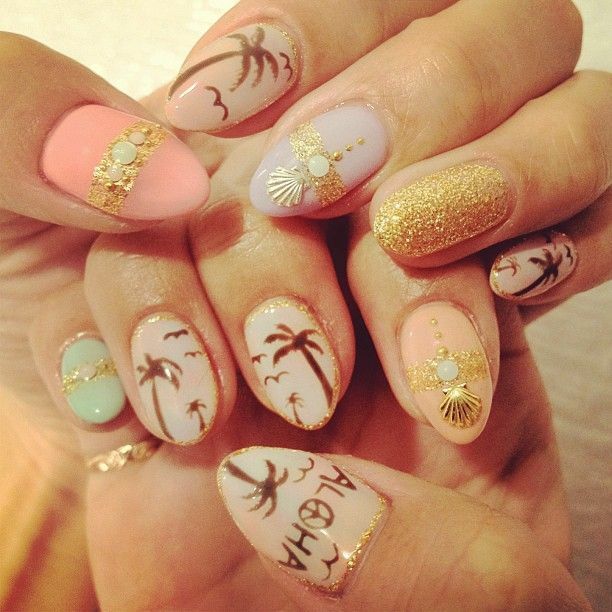 While preparing your beach vacation look, you should also try out fun and amazing summer nail art! From sweet, delicate designs perfect for bridal nails to bold color and fun scenes that represent the perfect beach designs, nail art designs have kicked off the holiday season in style. This summer a lot of creative and inspirational nail art designs have been coming up. It’s the perfect opportunity for you to flaunt your best summer nails and enjoy your time in the sun. From nautical nails to polish with scales, everyone is happy to embrace a little beach beauty. Beautify your tips and toes with scenes of palm trees, sunsets and sandy white beaches. These designs also work well for a fun pool party! There are many eccentric and funky designs inspired by the tropics such as waves, fruits, and even fishes that you can incorporate into the nail art design. Swirly, crazy and bold shapes of water marble nail art are candid looking enough to create the perfect summer vibe. 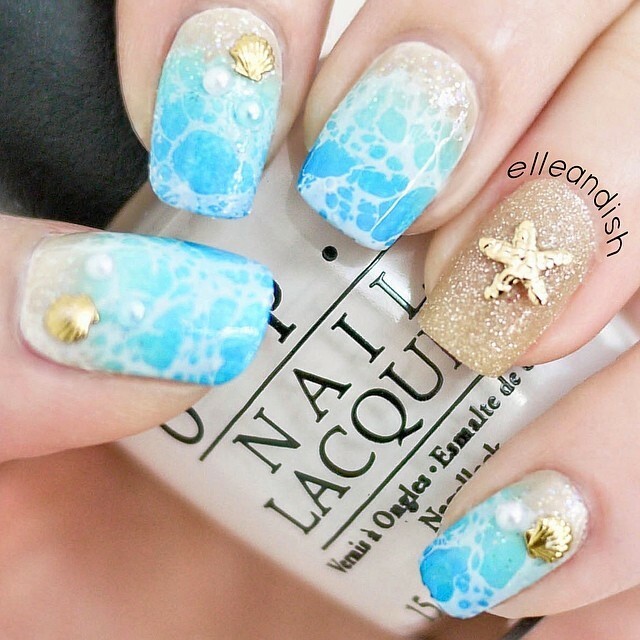 Even if you don’t live beach side, you can still rock ocean nail art to make your summer feel perfect. Bright colors and a sea theme are ideal for bringing all the best of summer to each of your days. When you get a load of these perfect nail art designs, you are going to be even more excited about warm weather and a memorable beach vacation. 2. Intricate designs or miniature stick-on elements – small shells, beads etc.